Endoscopy procedures provide doctors with vital information that can help them diagnose and treat an array of issues affecting the upper gastrointestinal tract. 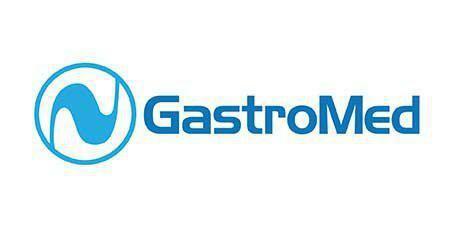 The team at GastroMed uses advanced techniques and state-of-the-art endoscopy technology aimed at helping patients throughout the Greater Miami, FL, area receive the most effective and most appropriate care. An endoscopy is a minimally invasive exam that’s performed to evaluate the upper gastrointestinal tract, from the esophagus through the stomach to the first portion of the small intestine called the jejunum. The exam uses a long, thin, flexible scope called an endoscope that’s equipped with a light and a tiny camera. The scope is inserted into the upper GI tract through the mouth and passed slowly through the tract, sending images back to a monitor where they can be viewed by the doctor. An endoscopy procedure is sometimes referred to as an upper endoscopy or an EGD (short for esophagogastroduodenoscopy). Endoscopies can be very useful in diagnosing the cause of symptoms like abdominal or esophageal pain, problems with swallowing or painful swallowing, chronic acid reflux, vomiting with blood or issues affecting the lower GI tract including changes in bowel habits. In addition to diagnosing the cause of symptoms, upper endoscopy exams can also be used to perform minor procedures to help resolve symptoms of some disorders. Small tissue samples or biopsies can also be taken during an endoscopy and sent to a lab for further evaluation. What happens during an endoscopy procedure? Prior to the procedure, patients will need to fast for several hours to ensure the upper GI tract is clear of food. The procedure itself is performed on an outpatient basis under sedation to enable the patient to relax and doze throughout the exam. A spray will be applied to the back of the throat to prevent a gag reflex from occurring, and a special guard will be used to hold the mouth open to allow the scope to be easily inserted. The scope will be slowly passed through the mouth into the GI tract, sending images back to the computer monitor as the scope moves through the tract. Most exams take about 15 minutes. Once the procedure is complete, the IV will be removed and the patient will spend a little time in a recovery area before being sent home. Because of the sedation used during the procedure, patients will be groggy afterward, and they’ll need to arrange to have someone drive them home.